I’ve talked about the changing role of SEO Consultants a few times in my previous blogs, but I was talking to a client the other day whilst I was doing a quote and it became obvious quite quickly that this client had misunderstood the role that GrowTraffic would play; hence, I thought that I would reiterate the point. Not that any of my clients ever read my blog but hey, I’ve got nothing better to do. Not! Here at GrowTraffic, we (well, me at least) pride ourselves on going above and beyond the call of duty; certainly in terms of the kind of service that you would likely receive from other freelance SEO-ers, we tend to throw in more than we have agreed to in the initial quote or contract. I know that I spent a full weekend, not very long ago, re-writing the entire content of a client’s website, despite the fact that it wasn’t even included in our contract with them (it was just getting on my nerves and I couldn’t just leave it!). Now you might well say that we’re just stupid for not getting paid for work that we’re doing (and you may be right) but we like to think that this extra attention to detail garners loyalty and trust between us and our clients. Something we’re doing does anyway, as we rarely lose clients early and more often turn clients into friends. Having said that though, it still doesn’t mean that we will do all the SEO that you’ll ever need for you, we just can’t anymore and anyway, the clue is the name; we’re SEO Consultants, not SEO Doers! So this week, for your delectation, I’m going to give you the three most often recurring expectations that clients have when they first get in touch with GrowTraffic, along with the explanations as to why it ain’t gonna happen. My mother would say as little as possible but in reality, as a freelancer, I actually end up working at all hours of the day and night! Similarly, it’s not a question that I can answer definitively, as the most appropriate answer is probably ‘anything and everything’. I know that this looks like quite a long list but it is only the central core of the work that GrowTraffic does; there are many more facets of digital marketing that contribute to growing a website’s traffic and making it a profitable asset to the business, and we don’t shy away from any of them. The basis that we work on is that, if you need help with your website of any kind, GrowTraffic are here to give it to you. The key word here though is ‘help’, and that brings me nicely on to my next point. Will A Freelance SEO Consultant Do All The Work? The short answer is no! Thanks to the way the search engine algorithms now work, the most sure fire way of getting your website to the top of the SERPs and keeping it there is to have a far better website than your immediate competitors and promote it like mad everywhere you can. This is sounds simple and easy but, in reality, it’s a huge, ongoing task and no one is born with the innate knowledge of how to please a search engine algorithm. This is where we come in; it is our role to analyse our client’s websites and identify the reasons why that site is not performing to its full potential. It is our knowledge, skill and experience that enables us to do this; the majority of small to medium business owners that we encounter have no idea about SEO and how to implement it, and this is why they seek the expertise of an SEO Consultant. Once we have done a full website analysis and researched the market in which it operates, we put together a plan of action and agree a contract with the client before starting work and implementing that plan. In this initial stage, we do generally do the majority of work involved, as most of it requires specialised knowledge to get the ball rolling. 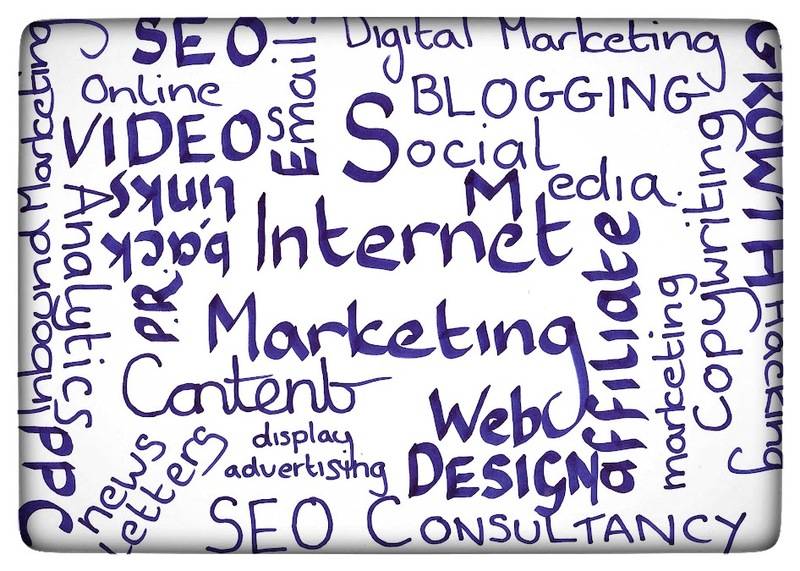 However, once all the necessary heavy work has been done – for example, once the website content has been re-written and the social media accounts have been set up – the major part of our continued work is educating the client, so that they can take over their own SEO campaign with confidence. Whilst it’s far from impossible for a third party company to carry out a business’s online marketing campaign, it will unavoidably cost thousands of pounds per month and, as the majority of the clients that GrowTraffic work with are small to medium businesses, they just can’t justify the momentous costs and, as result, must inevitably take responsibility for marketing their website. Hence, our role is exactly as it says on the tin – we are consultants; businesses come to us, we help them to discover what they need and decide what they can manage, we help them to implement it, we teach them how to keep it up going forward and then we hand it over, safe in the knowledge that the client has the skills and confidence to keep their website on page one of Google. Will A Freelance SEO Consultant Tie Me Into A Lengthy Contract? Again, no, not unless you want us to! As the above process usually only takes a few months, more often than not we only need to agree a contracted period of between three to six months with our clients. The most common pattern for us is to agree an initial contracted period of three months, whilst we carry out the required research and begin to set up all the necessary strategies, and then to extend that for another three months whilst we work with the client to ensure they can carry on without us. Obviously, should the client require more support, or even decide that they would like us to continue to execute their digital marketing campaign for them (for we do certainly do this, if the client is happy to shell out the monthly retainer fee), then we usually transfer the arrangement onto a rolling contract, which can then be terminated at any time, should the client request it. As a result, the role of an SEO Consultant is not really to take over an aspect of the business and tie a client into a 24 or 36 month contract; rather, we work on a more flexible basis and always aim to reach a point where GrowTraffic can withdraw and the client can proceed with self-reliance. We don’t always manage it and we are a long way from claiming that the same pattern applies to every single client we have, but we always do our best. Naturally, I understand that this is GrowTraffic’s way of working and not every Freelance SEO Consultant works in the same way; if you’re an SEO Consultant who does things differently, or if you are a business owner who has experienced something completely different, then please do get in touch and let me know your thoughts. You can contact me in all the usual ways and thanks very much again for reading.